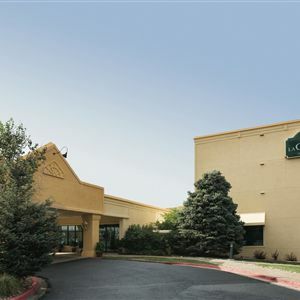 Property Location Located in Greenwood Village, La Quinta Inn & Suites Denver Englewood Tech Center is in the suburbs and convenient to Fiddler's Green Amphitheatre and Denver Tech Center. This hotel is within close proximity of Westlands Park and Lollipop Park. Rooms Make yourself at home in one of the 149 air-conditioned rooms featuring refrigerators and flat-screen televisions. Complimentary wireless Internet access keeps you connected, and satellite programming is available for your entertainment. Private bathrooms with shower/tub combinations feature complimentary toiletries and hair dryers. Conveniences include desks and microwaves, as well as phones with free local calls. Amenities Don't miss out on the many recreational opportunities, including an indoor pool, a spa tub, and a fitness center. This hotel also features complimentary wireless Internet access and a fireplace in the lobby. Dining Grab a bite from a grocery/convenience store serving guests of La Quinta Inn & Suites Denver Englewood Tech Center. Business, Other Amenities Featured amenities include a business center, express check-in, and dry cleaning/laundry services. Planning an event in Greenwood Village? This hotel has 3000 square feet (279 square meters) of space consisting of conference space and meeting rooms. Free self parking is available onsite. 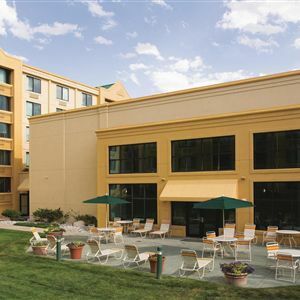 Located in Greenwood Village, La Quinta Inn & Suites Denver Englewood Tech Center is in the suburbs and convenient to Fiddler's Green Amphitheatre and Denver Tech Center. This hotel is within close proximity of Westlands Park and Lollipop Park. Make yourself at home in one of the 149 air-conditioned rooms featuring refrigerators and flat-screen televisions. Complimentary wireless Internet access keeps you connected, and satellite programming is available for your entertainment. Private bathrooms with shower/tub combinations feature complimentary toiletries and hair dryers. Conveniences include desks and microwaves, as well as phones with free local calls. Grab a bite from a grocery/convenience store serving guests of La Quinta Inn & Suites Denver Englewood Tech Center. Featured amenities include a business center, express check-in, and dry cleaning/laundry services. Planning an event in Greenwood Village? This hotel has 3000 square feet (279 square meters) of space consisting of conference space and meeting rooms. Free self parking is available onsite.